Nine Inch Nails are reaping the benefits of the new economic model of music sales: give away as much music as possible and charge fans an arm and a leg for exclusivity. Ghosts is a two CD set of 36 tracks that can be ordered online for $10. Also available is a $75 deluxe edition and an "Ultra-Deluxe Limited Edition Package". All 2500 copies of this last artefact sold out at $300, which netted the artist a quick three-quarters of a million dollars (if my math is any good). The fact that the first nine tracks are available free is a mere distraction. Everyone points to Radiohead's In Rainbows as the pioneer in this form of marketing. Certainly that was similar in allowing a sliding scale of purchase options. But I'm not sure that this is the way forward, the break in the economic model that signals Commerce 2.0. Certainly not for new, struggling artists. They don't have the media clout to get saturation coverage (equal to free advertising), nor do they have the ability to pull the wool over the eyes of magazine editors and convince all of their originality. For neither NIN nor Radiohead have done anything new at all. They have merely commodified an already existing exchange network. And the concept of sliding scale digital sales was certainly not originated by them. 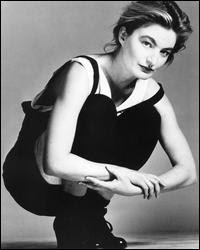 I recall Jane Siberry (who prefers these days to be called Issa) years ago digitising her entire back catalogue. And rather than play into the hands of the collectors, or cater to the myth of "free music", she allows multiple types of payments based on a larger more multivalent interpretation of exchange. For each song there are four options. We can accept it as a "gift from the artist" -- a completely different conception from "free music". Or we can pay at "market price", 99 cents per track. Or we can set our own pricing. Finally there is the option of "creative currency". This allows the purchaser to perform any act or make any donation that helps the earth or elders (the two suggested beneficiaries) or, by extension, any other party. Some of the creative currencies used: "I carried somebody's bag up some stairs on Thursday", "Buy a food basket for a homeless family", "Writing a postcard to my old neighbor, who taught me to play the recorder and made cookies with me when I was 5 years old". For Siberry this is what it's all about. Not making millions off limited edition releases. For those who scoff and believe this is a sure way to artistic starvation, the site provides some hard cash statistics. It turns out that the average price paid per song is $1.25, actually above the market rate. There are many other interesting facts to be found throughout the site. Siberry tells you how much it costs her to make the sheet music you can download, how much her studio time works out to, and why it's correct to feel something in your gut. Check out the FAQ. Too much of Jane Sibbery's work may be twee new agey folk whimsy, but in the middle eighties she innovated with an orchestrated synthesised style that combined heart-wrenching beauty with comedic life observations. The Speckless Sky (1985) and The Walking (1987) are described in-store as "pop/filmic" and are singular efforts from start to finish. That description is also used for When I Was A Boy (1993), though it's less inspired. (And neither are the tracks licensed for use in the web store; there are several black spots like this thanks to corporate hoarding of artists' rights.) Fans of Brian Eno and Michael Brook should note that they both show up here as producers. Try "Calling All Angels" and "Love Is Everything", two tracks that are available on compilations. By 1995's Maria Siberry was operating in an odd gospel/jazz mode, rather unsuccessfully in my opinion. But the one track available for download from the album Maria, the 20 minute "Oh My My" is also the best part of the record. Improvisatory and imagistic, it has a tender diaristic feeling that is totally Siberry. OK, it is far too self-indulgent, and not a patch on what she was doing a decade before, but still worth it for lines like "You will go to AA to learn what you should have learned in Sunday School". And for "Puff, The Magic Dragon". From the earlier No Borders Here (1984) don't miss "The Waitress" and "Mimi On The Beach". And while I am not as captivated by the country sounds of Bound By The Beauty (1989) you need to at least get the hilarious "Hockey" and "Everything Reminds Me of My Dog". Download a few dozen tracks, gift her a few dozen dollars, donate to your local fire-fighters and help a neighbour paint a fence. Issa will love you for it. And you'll be putting into praxis a radical economic model NIN and others are still faking.